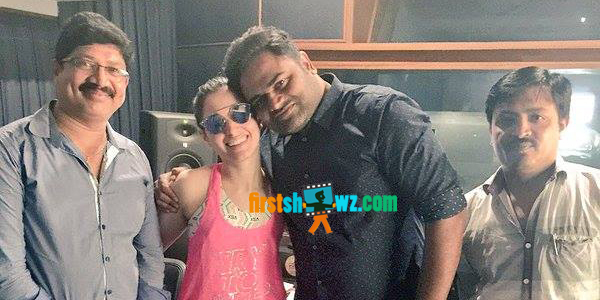 Actress Tamannah Bhatia has wrapped up her dub portion for the film Oopiri. Tamannah Bhatia,"Woohhoooo!!!! Jst completed my dubbing for #Oopiri with my sweetheart director #vamshipaidipally #rambabu #vijay". Oopiri film has Nagarjuna, Karthi and Tamannah in lead roles. The film is directed by Vamsi Paidipally. PVP Cinemas is producing this film with Pearl V Potluri as the producer. Prakash Raj is seen in crucial role in the film and Anushka Shetty, Adivi Sesh are seen in cameos. Music Director Gopi Sundar provides classy tunes to this commercial entertainer. Currently,Tamannah is also busy shooting for Baahubali-The Conclusion and the actress has also signed bilingual film with Prabhu Deva in lead role.